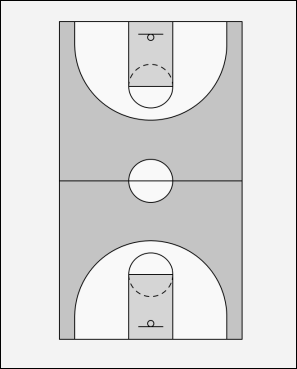 Offense must try to get past each defensive player using different ball techniques, when they reach the last defender on their side they go 1 to 1 and score. Defense is not allowed to trap or cross into next defenders area. They may steal the ball, but must give it back. To rotate all defenders move up one, making the previous offense the last new defense.